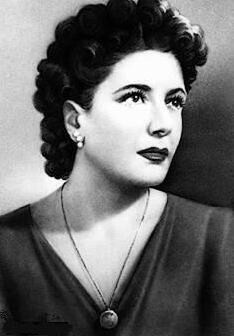 The dictator was killed along his mistress , Clara Petacci. Their bodies were taken to Milan from the Lecco district near Lake Como where they were arrested and killed. According to the Times correspondent in Milan, the corpses of Mussolini, Petacci and 12 Fascists are on display in Piazzale Loreto “with ghastly promiscuity in the open square under the same fence against which one year ago 15 partisans had been shot by their own countrymen”. The executions are the first conspicuous demonstration of mob violence carried out by the partisans who until now have been kept under control by their leaders. The partisan commander-in-chief General Raffaele Cadorna said such incidents were regrettable but desirable in this case as a way for the public to vent their anger against the former dictator and his cohorts. Among the bodies were former general secretary of the Fascist Party, Roberto Farinacci and Carlo Scorza, former secretary of the party. Mussolini was spotted heading towards Switzerland by an Italian customs guard at Dongo, near Lake Como. He was driving a car in a column of other German cars wearing a German greatcoat over his uniform. Other members of his party were found in neighbouring villages. It was in Milan that Mussolini founded Europe’s first fascist movement – Fasci di Combattimento – in 1919. He came to power in 1922 after the so-called March on Rome. By 1928 Mussolini was absolute dictator and took the title of Duce, leader, and embarked on an expansionist foreign policy taking Ethiopia in 1935 and annexing Albania in 1939. That same year Mussolini signed a Tripartite Pact with Adolf Hitler’s Germany and Imperial Japan. After defeats in Greece, the Balkans, North Africa and Russia, Mussolini lost popularity. Then on 9 July 1943 the Allies landed in Sicily and Italy was faced with an invasion of its mainland. Mussolini failed to secure assurances from Germany of adequate support against such an invasion and the Fascist Grand Council turned against him and had him arrested on 25 July. Marshal Pietro Badoglio was appointed prime minister, dissolved fascist organisations and negotiated an armistice with the Allies. Six weeks later the Germans launched a dramatic rescue of Mussolini. He was made head of the puppet republic of Salo – also known as the Italian Social Republic – once the Germans had occupied northern Italy in September 1943.